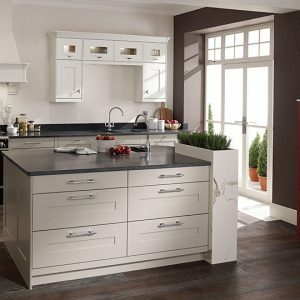 The Cornell wood grain classic kitchen is a natural oak sculpted kitchen offering tremendous detail making it a very classic kitchen choice. This kitchen also has a painted sister, giving our clients the option to have a natural oak and painted mix in their new kitchen. 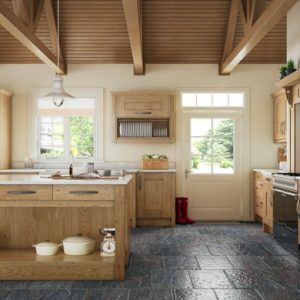 The Cornell kitchen either comes as painted or as in this case in a delightful natural oak. 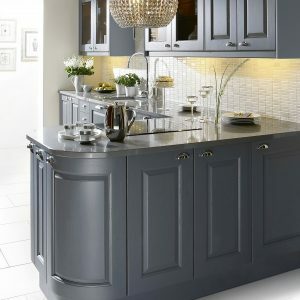 This particular kitchen door frontage has a raised center panel offering the design extra detail. 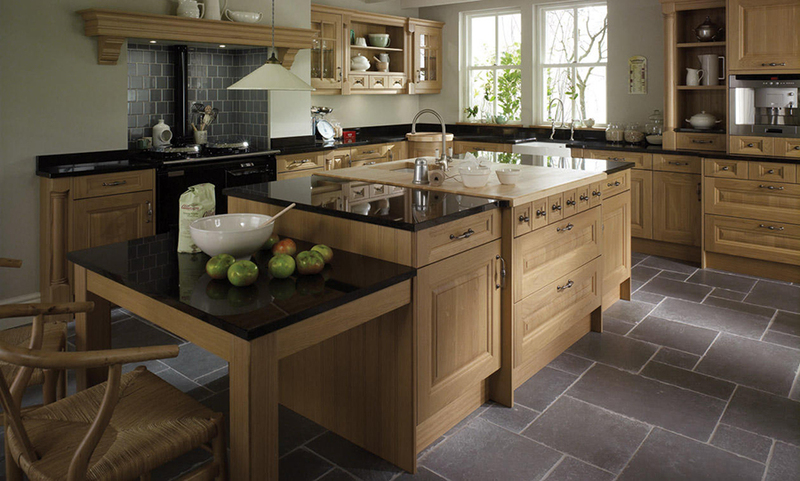 The Cornel natural oak is a clean oak offering a consistent colour and grain pattern to the door. 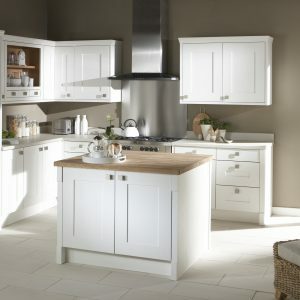 The natural oak accessories matching the range also offer this clean oak look. When a kitchen door center panel is flat is is invariably a veneered panel, as opposed to solid timber. Manufactured wood profiles such as veneered panels and Mdf, are more stable than tree-grown solid wood. Many believe that a solid timber panel is better than veneered; they see veneer as cheap and poor quality. In fact, a veneered panel is more stable than a solid timber panel and is considered in the trade as a better product, though it cannot be sculpted as it is in the Cornell.